What does masala mean ? If anything the term ‘masala’ connotes a mix of sorts not something that represents purity of any kind. For readers around the world let me give you my take on the Festival and its background. Parramasala is a Government funded Festival. The name was perhaps coined, unwittingly or not, to connote 36 percent of migrant Indians who reside in the Western Regions of Sydney. Other communities who peacefully co-exist include migrants from Lebanon, Pakistan, Bangla Desh, Srilanka, Indonesia, China, Turkey, Afghanistan, Iran, Iraq, Fiji, Philippines, Egypt, Israel, Burma and more. No doubt they form an interesting and beautiful tapestry of sights and sounds. For majority of Sydney siders, Parramatta – the city holds the reputation of almost being the ‘boring west!’ for it lacks the glamorous landscape of the iconic Sydney Opera House or the Sydney Harbourside. The perception of Parramatta as the poor cousin is however changing. For it now represents the multi-culturally diverse face of Australia. The Mayor of the City of Parramatta John Chedid has risen to harness and nourish the varied cultures brought into the region by its myriad migrant communities. The Council works hard to ensure the Festival runs smoothly. 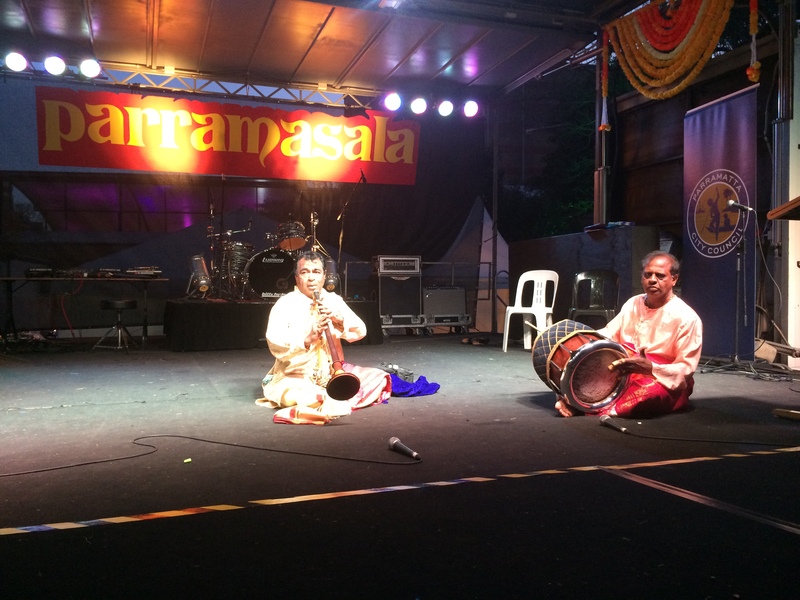 For one or more of these reasons Parramasala, the festival came into existence in 2010 held to coincide with Deepavali, the Festival of Lights. Its aim to develop community exchange and awareness through involvement, engagement and interaction, extolling inclusiveness. Parramatta has its own iconic sites – like the Murugan temple and St Andrews Catholic Church. Between them lies a popular hub and the only theatre of Parramatta – the Council owned Riverside Theatres built adjoining the Parramatta River (a far resemblance to the Seine river of Paris, one would jokingly hear the locals say). Over the years Parramasala with Dr G.K (Harry) Harinath, MBBS, DTM&H (OAM), Chairman, at its helm has seen the festival take a slightly different direction dictated by various socio economic considerations. In the past years we have had international artists such as Aneesh Pradhan, Sudhir Nayak, Aakash Odedra, Raghu Dixit, Mallakamb, Sikkil Gurucharan and Anil Srinivasan present their collaborative and individual works to name a few. This year the festival was held between 17 to 19 October 2014 to coincide with the celebrations of Deepavali with Di Henry as its Festival Director. 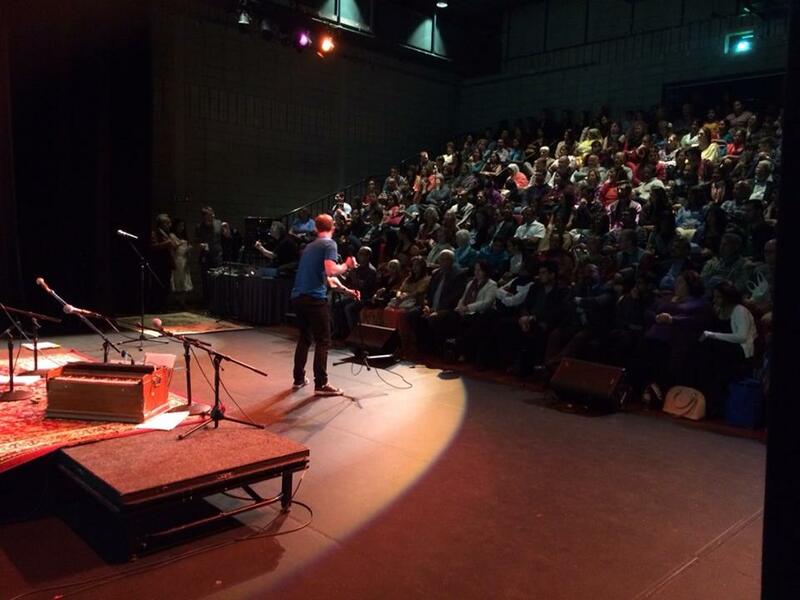 The events of the festival were offered free to the entire community. Free shows were held at the indoor intimate Lennox Theatre in the Riverside Theatres; at the outdoor stage of Harris Park – a street which Shah Rukh Khan playfully coined ‘Harish Park’; the Alfred Park Stage immediately next to Riverside and a quaint replication of a western hippie tent called the Chai Temple. However to start it all was the long python like parade of colours, sounds, sights lead by the NSW Police Band. Different community organisations artists and floats paraded along Church Street of Parramatta joined by the temple nagaswaram and thavil players. With the welcome to country, speeches by Dr Harinath and Mayor John Chedid and a blast of the nagaswaram, the festival officially opened. 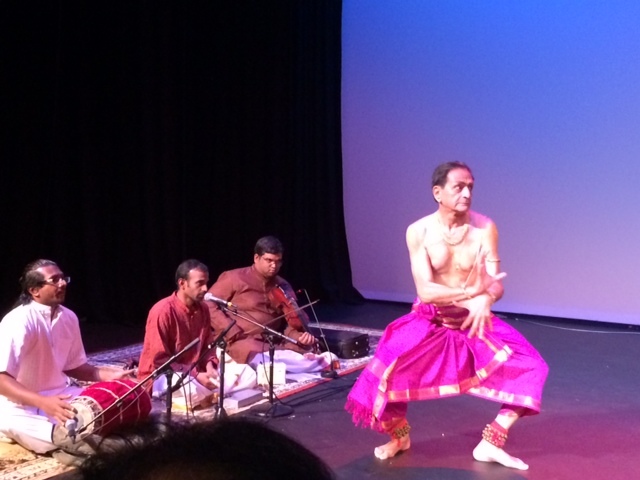 If the outdoor events celebrated the popular cultures of bollywood, rap, bhangara, bands and drums, the soul of Parramasala was presented in the intimate confines of the Lennox Theatre. 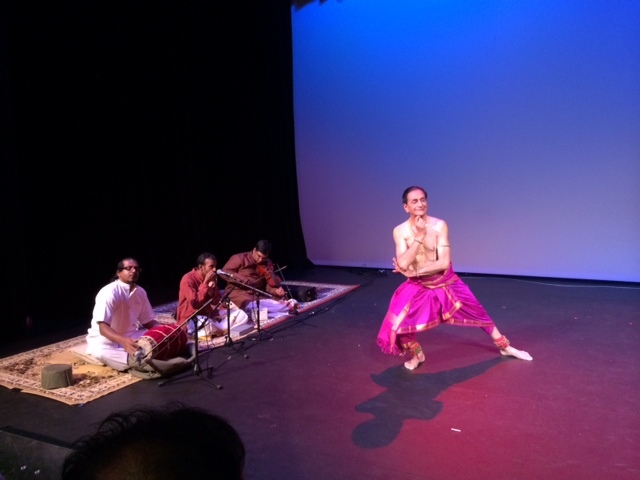 The Lennox theatre’s free events featured ICCR artists Raminder Khurana perform Odissi Dance in a Shiva Thandawa with her accompanying musicians. Cielo Vivo – Living Sky was the next act showcasing feisty flamenco by Annalouise Paul and her musicians Dahlia Dior; composer -musician Robin Morgan on flamenco guitar and Peter Kennard on Percussion and who brought the music of the Spanish poet Sephardi to life. The Lingalayam dancers under the able guidance of guru and teacher Anandavalli presented the Lilt of the Blue Hued Wanderer. With an interesting back drop of the peacock weathered blue God, the dancers nimble and graceful synchronised well practiced act kept an full house under its spell. Diva Divine saw the melodious voice of Heather Lee, who has been the recorded voice for major events including the Asian Games and Winter Olympics, as well as major cultural events such as the touring of the Dead Sea Scrolls, the Khalili collection of Islamic Art and the Maharajah of Jodhpur’s Sacred Art collection. She was accompanied on the piano by Kim Cunio presented new work that explores the life of her great aunt as she toured through India in 1890’s during the period of the Raj. Padmabhushan CV Chandrasekhar presented Festival his creation – ‘the Splendour of Creation’. Despite being such an accomplished artist teacher choreographer and a multi talented singer and dancer, Sir CVC as we all called him touched every one with his humility. Firstly agreeing to perform at such short notice and secondly agreeing to perform with local artists. The orchestra consisting of three amazing local artists under the guidance of Sir CVC flourished adding the right musical nuances to the splendour of creation as Sir CVC took the audience into the lap of nature, the beauty of life, the sadness torment and fear that paralysis humans. Yet the human spirit remains undying ever flowering despite the thunderous clouds and its man made miseries. Sir CVC’s bhavam ridden perfect postures, exquisite choreography was a treat to behold. His expression stays with me even today. Every student of dance in the world should spend at least some time with this awesome humble and great teacher. Pallavarajan Nagendran on Mridangam provided accurate and aesthetically pleasing rhythmic support on the mridangam, Kranthi Kiran Mudigonda on Violin provided that emotional impact to Sir CVC’s bhavam as he danced like the love birds or the swimming dolphins, Chidambaram R Suresh choreographic nattavangam added amazing sound scape whether it was to show the slow roll of the oncoming dark clouds or the flight of birds. The three musicians made up for a complete orchestral act for Sir CVC. Sponsored and supported by his students Suresh and Shobana of the Samarpana School of Dance who had worked hard to organise all his travel arrangements, lecture demonstrations and another show the following week, Parramasala’s height of artistic talent was displayed by Sir CVC with little pomp and show. This tall act of Sir CVC was followed by ‘Moving celebrations’ Vaibhavom. A collaboration between visiting artists from India and locally talented dancers the artists were Shobana Balachandra and Gayathri Krishnamurthy, Anu Krishnamurthy and Krithikaa Shurajit. Following the lineage of the great Dhananjayans, the dancers commenced with an invocation to Ganesha and progressed through the evening with various stories of Krishna. 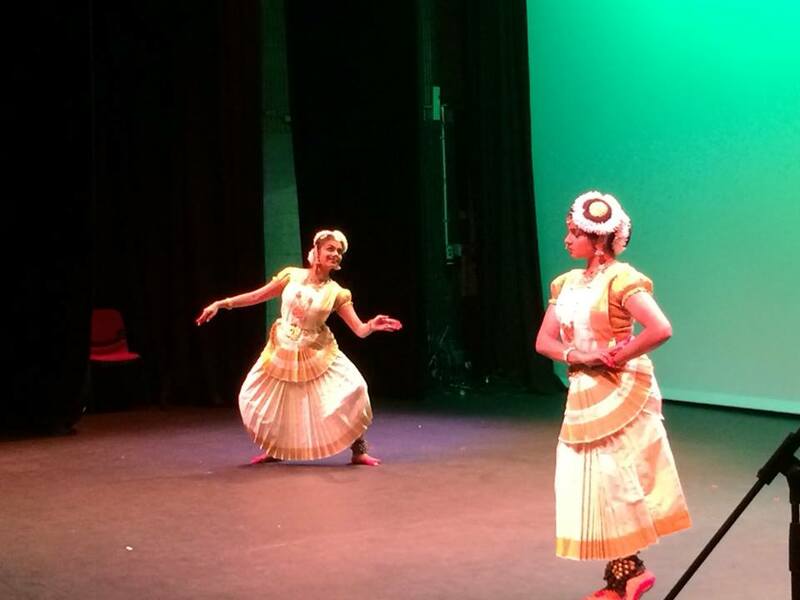 The concluding piece ”Pandha Attam’ in Mohiniattam by Anu and Krithikaa was a popular favourite. A common enough theme that reached out to audiences from various cultural backgrounds. 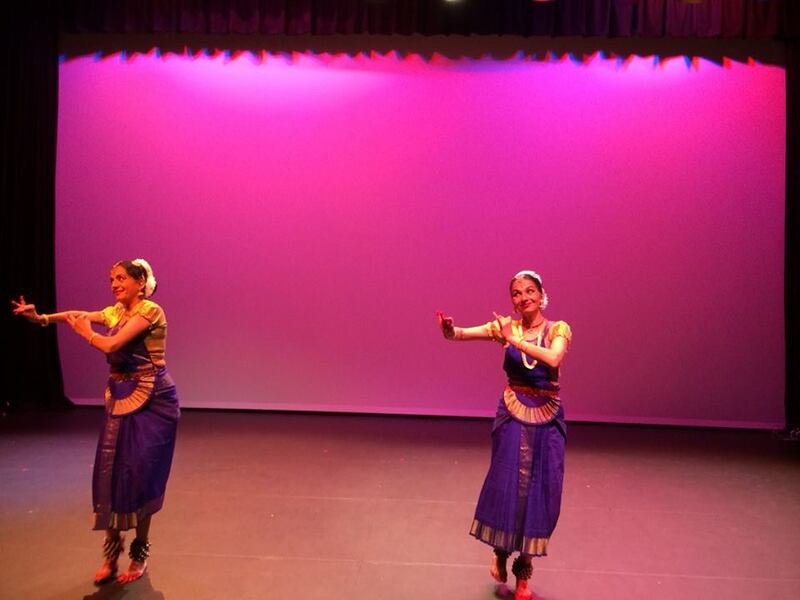 To see the experienced dancers and sisters Shobana and Gayathri was once again a treat. They executed their pieces with precision coordination and imaginative choreography. The next act for the evening after the voice of Suprano Heather Lee and her artists had hit the Lennox theatre providing a cultural mix that sat aesthetically well in the space of the Lennox came the vibrant and energetic Sufi Qawwals. Lead by the canadian Sufi Qawwal and local artists this was another act where international and australian artists collaborated to bring the Allah Hoo !! composition of Bulleh Shah alive. Dressed with the opening poem written by Raza Alvi the show went off to a great start. The Qawwals explored a variety of famous songs hitting fever pitch with Dama Dam Mast Kalandar.